WinkBeds Mattress Review – A Luxury Hotel Mattress? WinkBeds is an amazing high-end hybrid mattress with 14.5 inches of height that allows you to COOL DOWN or HEAT UP the temperature of the mattress!!! Taking the online mattress game to the next level, WinkBeds, with its spring/foam hybrid design, is disrupting the natural flow of sleep-chi by offering an upscale alternative to the “bed-in-a-box” mattresses. Rather than creating a product to compete against mainstream brands like TemperPedic or bed-in-a-box company Casper, The WinkBed has a feel closer to what you would find in an upscale hotel than a Casper showroom. It’s not for everyone though, so read on my Winkbeds mattress review below to learn more. 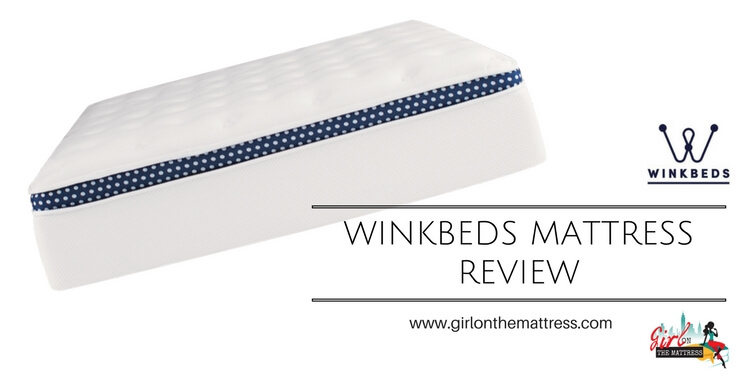 Winkbeds made some major changes in their mattress, check out my new mattress review here. What’s a hybrid mattress, you ask? Simply, it is mattresses composed of more than one type of material for its construction. In this case, WinkBeds combines two layers of micro coils together with various layers of foam. This spring/foam hybrid construction style is relatively new as far as the online brands go, and it is refreshing to see as more people search for the “ultimate mattress” to sleep on. So, did WinkBeds succeed with their mattress? Let’s check it out. The WinkBeds mattress is about 1.5x thicker than its bed-in-a-box counterparts like Casper at 15” thick. My first impression of this mattress was that it is very sturdy. More so than most of the bed-in-a-box mattresses I’ve reviewed. It was delivered by white glove delivery agents and installed in my bedroom. This was a nice departure from most online companies which roll pack the beds, ship them in a smaller box, and leave them on the doorstep. I enjoyed not having to get my hands dirty on this one, but I did have to come home from work to meet the delivery team, so a little bit of a trade off. 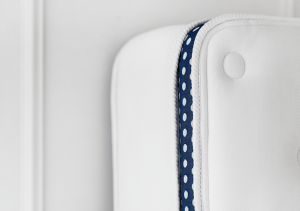 Top layer– Euro style pillow top. 2-inch thick eurotop made from a mix of proprietary Hypersoft foam as well as gel foam. This layer conforms to your body and cushions it. It does not feel like memory foam where you sink in and leave a body impression behind. 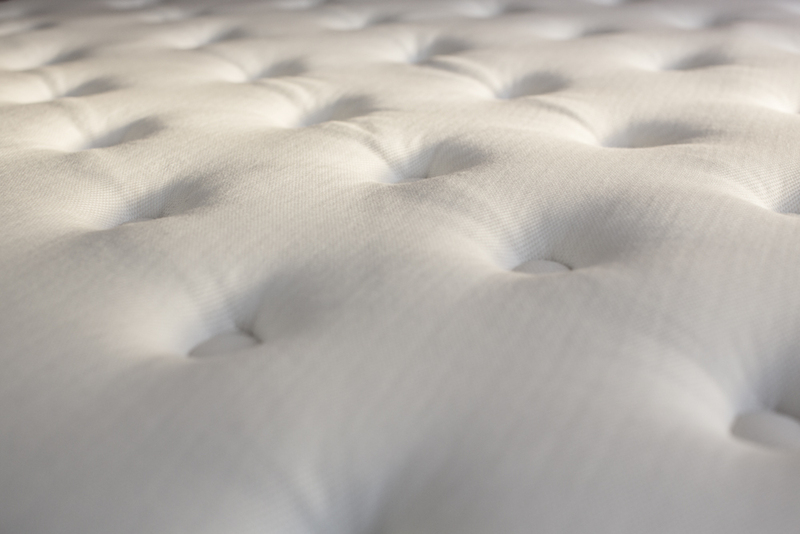 The gel foam is a nice feature as it allows the mattress to sleep cooler than a memory foam bed, which can retain heat. Base layer – 2-inch thick high density foam support on the bottom side part; this provides stability and durability to the mattress. Euro Style Pillow Top and Tencel Cover – Winkbeds has a very high end euro pillow top and it feels very comfortable. The cover is now made with Tencel (the old cross hatch pattern is gone!). Tencel is botanical-based fabric softer than silk, cooler than linen, and more absorbent than cotton. It’s designed to absorb moisture completely and naturally, then release it to the outside. This makes the cover extremely soft to the touch, quick drying, and hygienic. Yes, beautiful cover, but it’s also very sturdy. Everything we loved about spring mattresses minus everything we didn’t like about them. A great hybrid example. 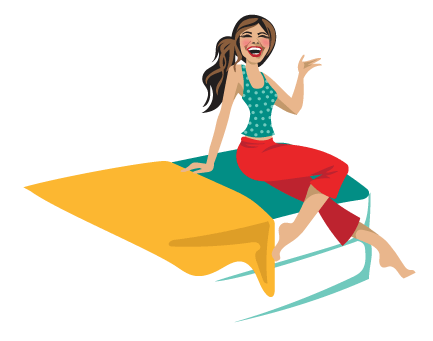 The Bounce – My search for a bed with a good bounce is no secret and I have raved several times about it. The WinkBed mattress, because of its coil-on-coil construction, definitely wins when compared to other mattresses in terms of bounce. All foam mattresses just can’t compete here. No Smell – True to their word, the moment the bed is opened there’s no smell coming from it at all! And no unrolling or re-inflating! I say it’s an awesome day when a mattress arrives and you can sleep on it the same night! But that said, I also heard from some others they had the smell for a few weeks! So I guess it depends how sensitive you are to smell..
Made to Order – Yes, every bed from WinkBeds is made from scratch when someone orders. A bit unusual, but I like the fact that each bed is “fresh out of the box.” Instead of having it sit inside a warehouse for months. Proper Edge Support – Edge sleepers will find this to be a very suitable mattress. Most mattresses are great for providing even support towards the middle of the bed but it’s at the edges where they suffer. With the WinkBeds mattress, I can sleep towards the edge with minimal sinkage or roll-off sensation. I got great support and I didn’t have to worry about finding myself on the floor the next day. 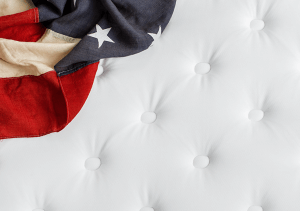 White Glove Delivery Service – Although it’s fun to unwrap boxed mattresses sometimes, there’s something so luxurious with having a made-to-order mattress delivered and set up right inside your home. WinkBeds works with a local delivery company to ensure set up. Better than arriving home and finding a big mattress box at your doorstep that you then have to haul in an innumerable flight of stairs all by yourself. The downside here is that you have to be home to accept delivery of the mattress! New update, new Winkbeds has a very unique feature, coolControl which allows you to cool down the temperature. Ladies, you can also make the part of your side warm (wink, wink :). You’ll love it! Can’t wait to test it out. Keep on tune. Now Winkbeds get 5 star for coolness criteria, and it’s the only mattress which has total control over the temperature. Slight Motion Transfer – True to any spring bed, it does have a bit more motion transfer than others. It’s not bad, but if you are looking for a bed with 0 motion transfer, you are better off with a memory foam mattress. For me, I think the bounce and overall feel make up for it, but what works for me may not work for you. Thickness – Like I said earlier, the WinkBed mattress is very substantial at 15” thick. While I’m not sure they can do it with all the components they use, it would be nice to have a low profile version. Personally, I think this mattress is probably the most substantial mattress that I have reviewed so far. When the delivery guys took the box off, you can tell right away how well made it is. It is a different experience than what the the bed-in-a-box companies are doing. In terms of feel, it is more similar to a pillow top mattress that you would find at a nice hotel, rather than a memory foam mattress like TempurPedic or Leesa. It is a clear winner when it comes to bounce but doesn’t rank as well for motion transfer or “sink.” The 2” euro-pillow top is with the micro coils underneath is ideal for you if you like the cushion of foam but want that bounce only a spring mattress can offer. If you are looking for a memory foam mattress, WinkBeds isn’t right for you. If you know you like a pillow top style mattress or a spring mattress, and want a high quality mattress WinkBeds is a great way to go. It has a number of high-end features that would cost far more in stores. When the package arrives, you’ll be impressed with the quality design.. I hope you find my details Winkbeds mattress review helpful. Please join the conversation and write your feedback about the mattress below & help others. We just purchased a WinkBed luxury firm mattress. First night? Ouch. We are so sore. Given that our bamboo bed-in-a-box mattress from Amazon was well past it’s prime, I suppose some of that can be expected. But both of us woke up super sore in all new ways. My husband is a side sleeper who prefers a firmer mattress. He reported aches and pains plus stiffness, but said it took less time to feel better upon waking. I am a stomach and side sleeper who prefers something softer. I have a bad back, which I would say also felt better this morning than it usually does, despite still recovering after having “thrown it out” on Sunday. The rest of my body feels like I got hit by a truck. I am stiff and have aches and pains in places I didn’t know could ache and pain. We know there will be an adjustment period, and the company’s literature says as much, especially given their request you sleep on the bed for 30 nights before trying to return. We are willing to give it a go, but does it really get better? I can’t imagine being less than homicidal after 30 nights of this. I’m hesitant to put a feather or memory foam topper on it lest that just mask the issue or prevent the bed from truly contouring. Auch! Hi Amy, I suggest send this email to the Winkbeds, and they will either suggest something to fix the adjustment time or return the mattress. I’m trying to understand why the soreness… Their luxury firm is medium level firmness mattress, close to the firm like 6,5. If you got the soft one, you’d like it but your husband wouldn’t like it… Doesn’t it contour your body? Or give enough support to those parts that give the soreness? I think give another week of trial and return it but first talk to Winkbeds and tell your situation. They are always on the phone and email quickly to respond personally. Now a few nights in, we are both still experiencing a lot of pressure point problems, but seem to be sleeping deeper (dreaming more). Back still hurting less in the morning, but in all kinds of pain elsewhere. We will reach out to winkbeds as you suggest, and keep trying. The negatives don’t outweigh the growing positives… yet. So we are hopeful!! Got the softer version of the Winkbed and have had it 2 weeks now. I love the feel of the bed; it’s plush and gorgeous. It feels good to get into it. But I wake several times a night in pain all through my body. I wonder if it’s the micro coils and then coils again underneath. I’m so disappointed but appreciate that someone else has the same experience. I have a 2″ latex topper but that would make the bed 18″ high and I’m short. Also not sure what to do. Your website popped up on my Facebook, and as a 1st generation Winkbed owner I thought I would share my experience with you.